So I have no idea how true this is, but based on a quick search of Google, I appear to be the only one on the internet to finish that crossword puzzle in Earth: The Book. Awesome. 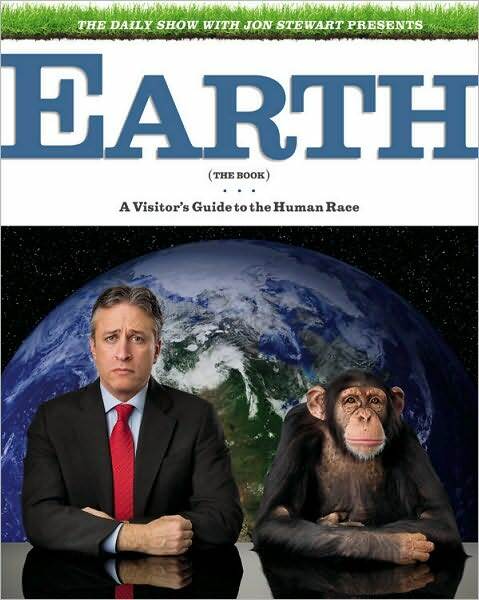 I hope it is understood that I want full credit for this if it ever gets back to Jon Stewart. AND NOW BACK TO MIDTERMS! I’m not really sure what to do with a Cannonball Read book of which I have almost nothing useful to say. Basically, if you’ve read America: The Book (which I have), or watch the Daily Show (which I do), you know what to expect, and the book certainly doesn’t disappoint. It doesn’t really present anything new, either, though. The book is packaged in a manner similar to the faux-textbook presentation of America, but written as a guide to Earth for the aliens who will succeed us once the human race, inevitably, self-destructs. The nine chapters focus on such important areas as culture, science, religion, man, and, of course, Earth, and they make all the expected jokes. I don’t mean this as an insult – very few jokes fell flat, for me, and the presentation, illustrations, writing, and concept all gel to make a thoroughly entertaining yet relaxing read. Each chapter ends with an amusing FAQ (Future Alien Questions) section and a sort of Earth-bingo score card, which is a fun touch. I just mean that there really isn’t much more to say. Maybe my brain’s just fried from midterms, but *shrug,* I’m out of words*. * One thing about Earth that got me ridiculously, super excited, though, was the last page of Chapter 9, Culture. 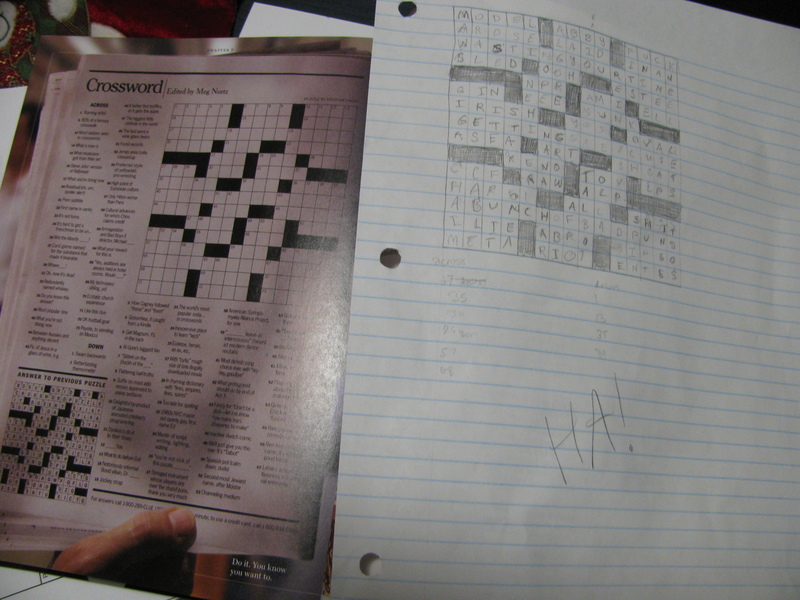 This was a silly-looking crossword puzzle. The caption? 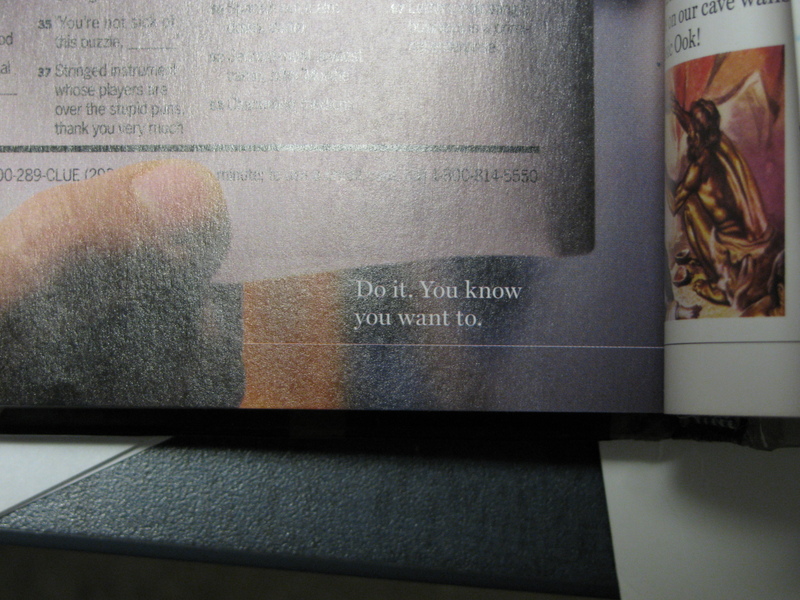 “Do it. You know you want to.” This train of thought followed: this couldn’t possibly be an actual crossword. 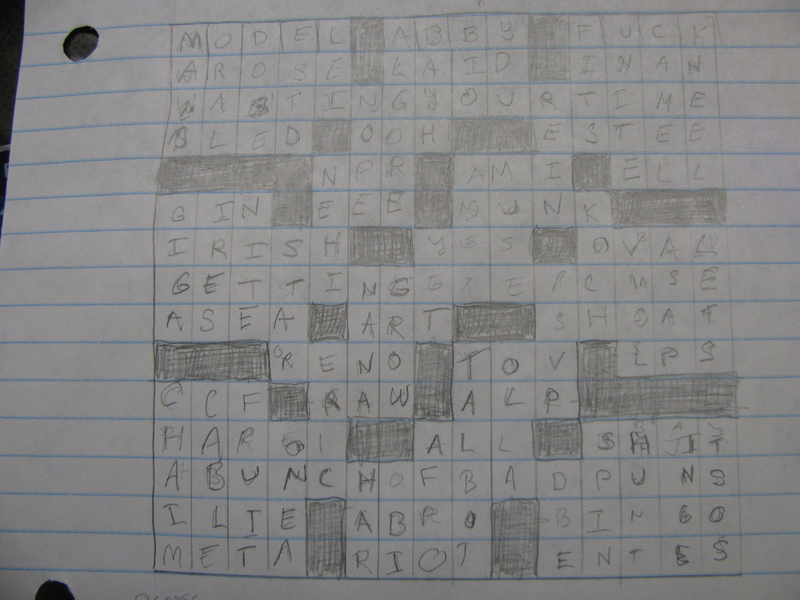 Who would spend so much time creating a crossword that no one’s likely to do? I wonder if any of the clues even have actual answer. This one does. Huh, it even matches with the across version. Oh my god, is this actually real? It’s 2 in the morning. I should go to sleep. I didn't want to get pencil marks on my new book.